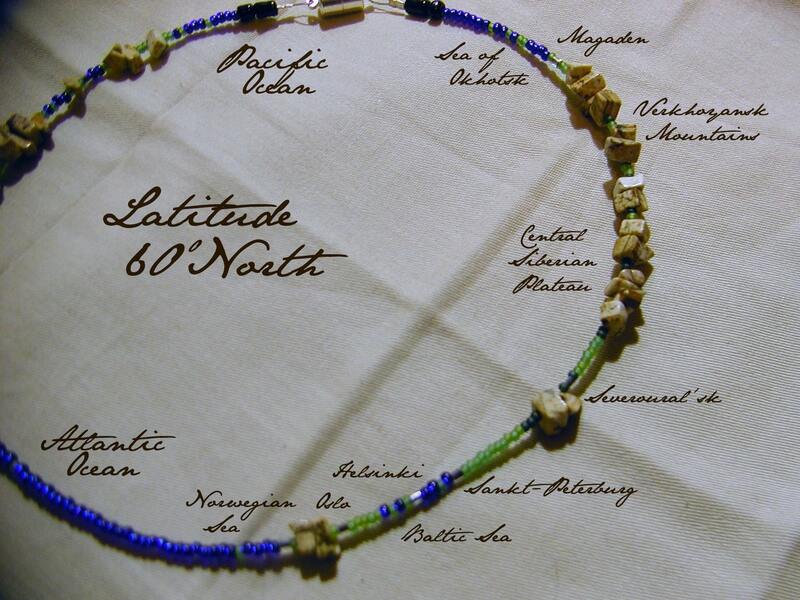 Welcome to Latitude 60 North! crossing through a diverse selection of terrain and civilizations. Water is represented by shiny deep blue glass beads. on or near Latitude 60 North. please mention it in the "note to seller" area! the International Date Line over the Pacific Ocean. just send a conversation through Etsy, and let me know where you want it! the Equator, 15 North, 30 North, 45 North, 60 North, and 75 North. *Not for use in actual Land or Sea Navigation. I would love to make them all! 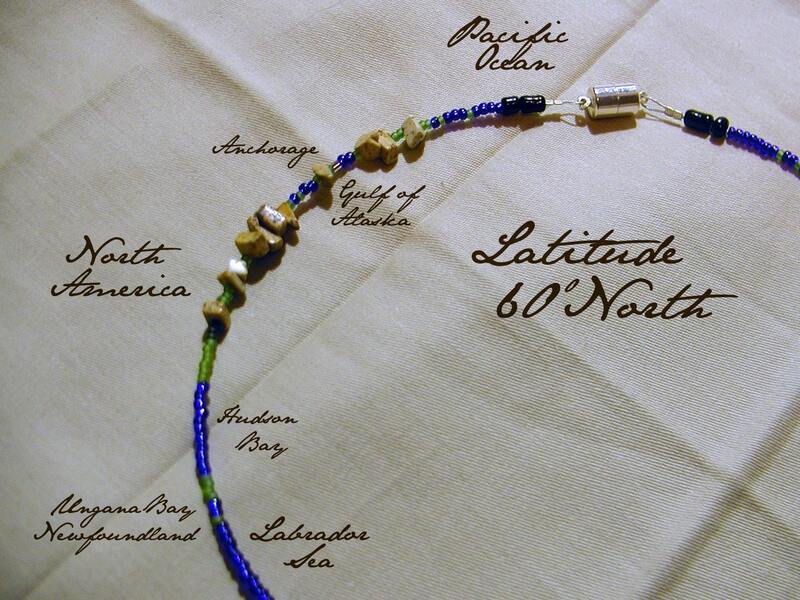 if you would like any particular Latitude or Longitude represented in beads. 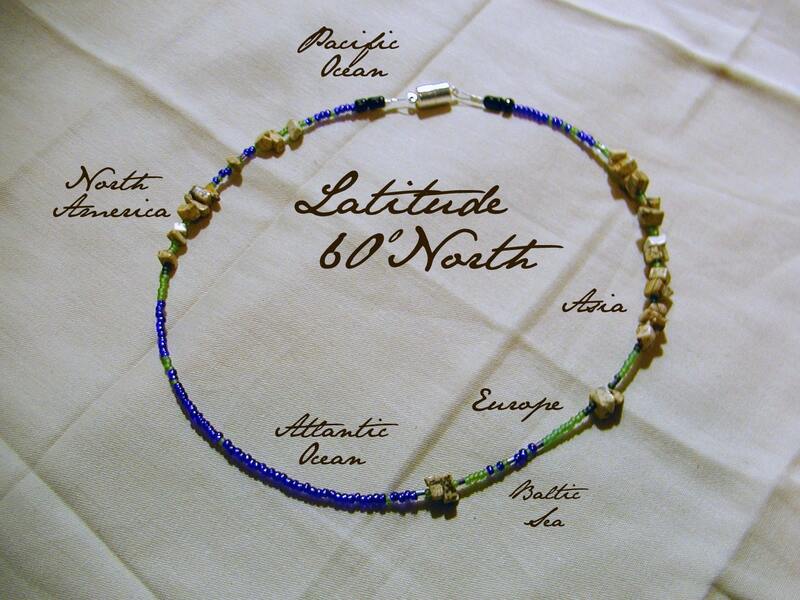 Please see our "Latitude & Longitude" section for more! 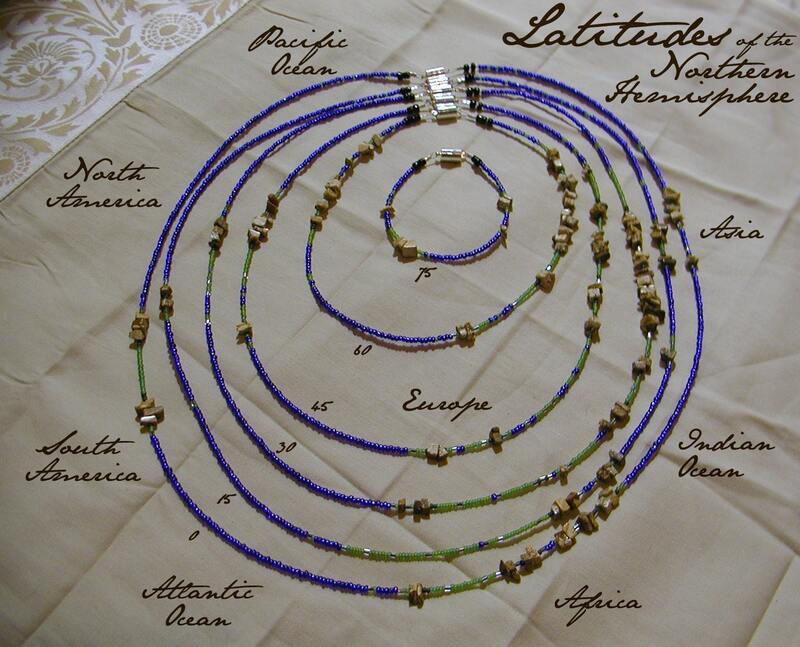 "The Solar System, in Jewelry Form"
"Artist Explores Universe through Solar System Necklaces"